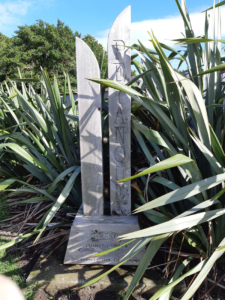 What is the connection between Pukerua Road, the Black Bridge and the Karehana Park Petanque Court? By 1912 with the opening of Plimmerton Extension (Karehana Bay) there was a track from Karehana Bay to Pukerua Bay, the Pukerua Road, but this crossed mainly privately owned farm land. Up to the 1920’s the majority of transport to Plimmerton was by train. There was a ‘road’ from Pauahatanui to Plimmerton but this was a track only for the adventurous. In 1921 an official road had been formed, now called Grays Road, linking Pauatahanui to Plimmerton for motor vehicles and there was a push to form better access up the Pukerua Road (Airlie Road) to Pukerua Bay. The road from Karehana Bay crossed over the main trunk railway near Whenu Tapu. An early bridge constructed in 1912 was replaced in 1937 by what became known as the Black Bridge. The Black Bridge’s height, local urban myth relates, was low enough to decapitate any incautious railway driver or engineer although there is no record of this happening. The opening in 1939 of SH1 meant that the majority of traffic to Pukerua Bay and points north meant that traffic used this route rather than via Karehana Bay. 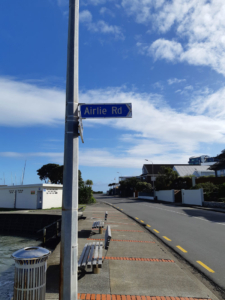 It is about this time that the use of Pukerua Road fell out of favour and Airlie Road became the common usage. 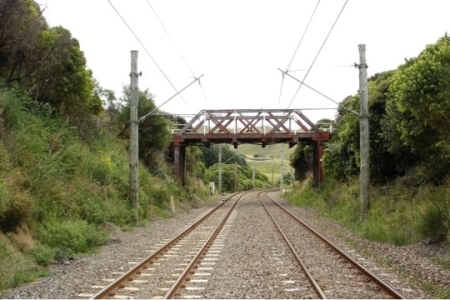 In 2010 the Black Bridge was replaced by a modern double lane concrete structure and the disassembled wood from the bridge was retained by the Porirua City Council (PCC). In 2015 with the community supported upgrade of Karehana Park the PCC offered to the Plimmerton Residents Association (PRA) a quantity of the wood from the ‘Black Bridge’ to be used for Heritage signs and also to construct the Petanque Court at the Southern End of Karehana Park. The Touhy Homes petanque court at the northern end of Karehana Park is used during finer weather by locals and visitors and a signage board will be erected outlining the history of the court.